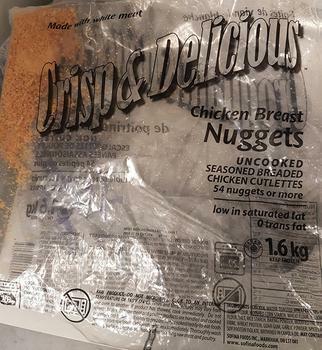 Sofina Foods is recalling Crisp & Delicious brand Chicken Breast Nuggets that may be contaminated with Salmonella. An outbreak of human illness is currently under investigation. Consumers with questions may contact Sofina Foods at (855) 763-4621.